VPLC does not provides direct legal representation except in very limited matters when referred by a local legal aid program. Please call (866) 534-5243 to find your local legal aid office. Below is a list of other resources you can use to find the information and representation that you need and deserve. VaLegalAid.org is a Virginia Partnership for Equal Justice Website Project. It is an ambitious attempt by Virginia legal aid offices and their partners to provide complete, accurate, up-to-date information on poverty law issues in an interactive and easily accessible format. The intent is to allow access to this information by legal aid attorneys, pro bono attorneys, clients, advocates and providers of services to legal aid’s traditional client base. A resource for advocates and others who do pro bono work in the community. The www.probono.net/va site includes brief banks for legal aid and pro bono attorneys handling poverty law cases, a library of training and CLE materials, a calendar of monthly training and other opportunities, relevant news stories, volunteer opportunities, as well as listservs for those listserv members who want to post relevant discussion topics so that other attorneys, staff, and advocates can respond and provide feedback. Learn Your Rights is a guide for youth in foster care and will help navigate through some of the most commonly asked questions about what to expect while in foster care in Virginia. VaPERL’s web site contains a wealth of information on predatory lending, news, fact sheets and stories from victims of payday and car title loans. 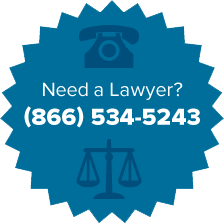 For immediate assistance, call the local legal aid office that serves your area or call (866) 534-5243 to contact your local legal aid office. A Guide to How the Medicaid Program Works in Virginia by VPLC and the Commonwealth Institute for Fiscal Analysis.